I've particularly sensitive to the concept of suicide. From the tragedy of what happened to Kansas City Chief Linebacker Jovan Belcher to hearing about someone I know a couple days ago having suicidal thoughts, it breaks me down. If we were drowning, we cannot be saved by our own strength alone, but only by a helping hand out to help us. If we were drowning, we would have to let go of our pride and ask for help. If there is potential danger to drown, we can't go alone, we have to bring someone with us before we go out into the water. If there were signs that someone we knew was a weak swimmer and he or she decided to go out on the water alone, what would WE do? Is it just their problem? Today, I want to pray for all people who've drowned in misery, all people who have committed suicide. 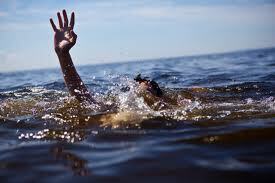 And I want to pray for all of us, who have experienced drowning in one way or another in our lives.